The mobile Oculus Home experience is also getting some upgrades. While the VR war between the Oculus Rift and HTC Vive is getting most of the hype, the competition in mobile VR is a far bigger deal for most consumers. After all, you only need a phone and a cheap headset for mobile VR, not a powerful gaming rig and lots of spending money. Samsung's Gear VR cemented itself as a pioneer in the market over the past few years, but Google's Daydream View headset came out swinging last year with the inclusion of a small motion-sensing remote. Samsung is ready to fight back with a refined headset and mobile motion controller of its own. As part of its Galaxy S8 event today, Samsung announced that the new Gear VR will be available on April 21st for $129. 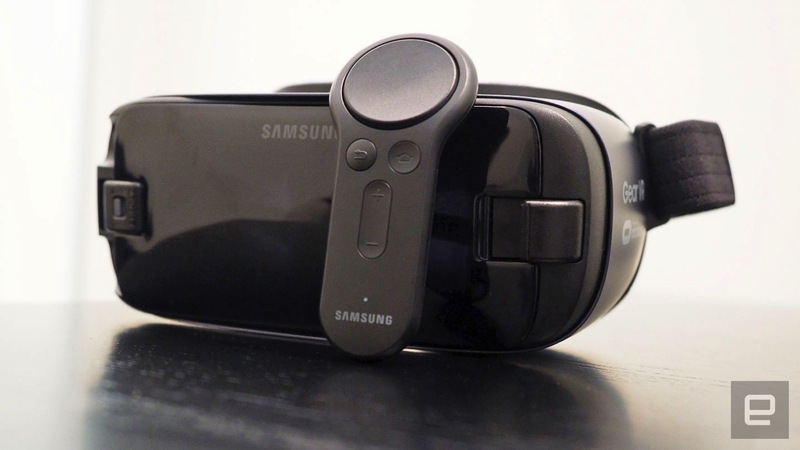 Current Gear VR owners can also nab the controller separately for $39. While the Gear VR is still far less than the $600 you'd have to shell out for the Oculus Rift or Vive, it's more than the $80 price for either the previous model or the Daydream View. But Samsung might be able to justify that premium with a slightly better mobile VR experience. I had a chance to try out the new controller with an older Gear VR, and I was surprised by how comfortable it was. The motion tracking felt fairly accurate, but mostly I was struck by how it felt in my hand. It has a slightly angled orientation, and your fingers naturally fall on the large trackpad on top and the trigger button on the back. 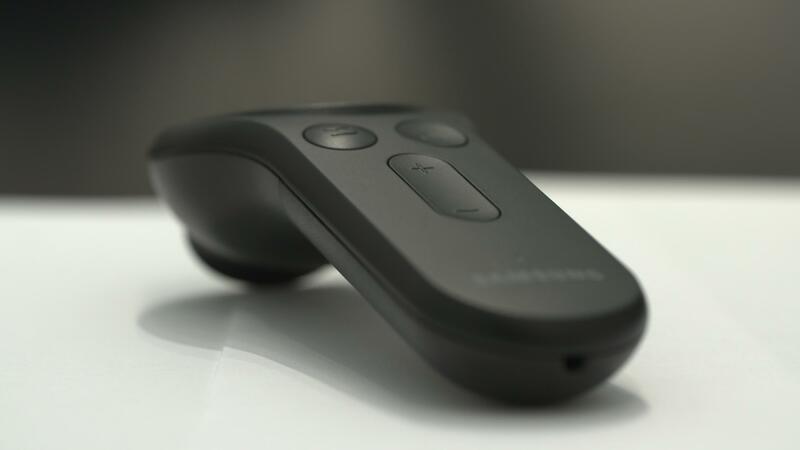 That trigger, by the way, differentiates it from the Daydream View remote, which only has a trackpad and a few buttons. It makes the controller more in line with the Oculus Touch and Vive gamepads, and it's a big help for most VR shooting titles. Beyond the new hardware, Oculus also updated its Oculus Home experience for the Gear VR. It boots up much faster than before, so you're not left staring at a black screen when you put on the headset. You'll also notice that Oculus Home looks much clearer than it did in the past. It's now easier to read text, thanks to a doubled pixel resolution. To show that feature off, Oculus also added a VR web browser, which was able to render Engadget and other major websites with no issue. Most importantly, the website text looked good enough to read within the Gear VR. A new controller doesn't mean much without software that supports it though. Oculus says there will be 20 compatible titles next month, with 50 games to follow over the coming months. The company is also bringing over Oculus Avatars to the Gear VR along with the new Home update. You'll be able to design and dress up your avatar, and the customizations will also carry over to the Oculus Rift if you ever upgrade. Similarly, if you're a Rift owner who's already designed an avatar, you should see that within the new Oculus Home experience.